Each year, Arizona students in third through eleventh grade take the AzMERIT standardized test. Although not required for graduation or promotion, passing scores are used as a measure by administrators for school performance and in some cases as a marker for prospective parents seeking schools. Arizona public school students’ proficiency levels statewide on the AzMERIT have shown steady growth over the past four years that the test has been given to measure students’ mastery of Arizona academic standards. Third- through eighth-graders take grade level assessments in English/language arts and mathematics, while high school students take end of course assessments to test their proficiency in the English and math courses they take. Students who score proficient or higher are considered to have passed AzMERIT. Yet 40 percent of Arizona students continue to score “minimally proficient,” the lowest performance level. Instead of just one statewide test, Arizona’s public schools may soon be able to choose from a selection of state-approved tests to give their students. That means the current AzMERIT statewide test may soon become a thing of the past. 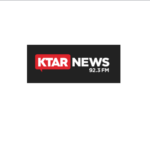 This comes after the Arizona State Board of Education voted to put together the list of approved tests as a result of recently-approved legislation. 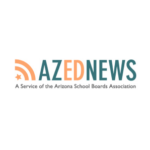 As districts prepare for another school year, looming spring AzMERIT testing already has school administrators planning ahead. Last year, the Arizona Department of Education returned to issuing A-F letter grades for schools, with the state’s AzMERIT standardized test results weighing heavily on those grades. 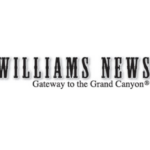 Williams High School and Williams Elementary-Middle School received B grades. Arizona public school children showed small gains on this year’s AzMerit tests, as the number of students passing the annual English and math test grew by one and two percentage points respectively. Still, only 41 percent of students statewide passed either portion of the test, which was administered last school year. 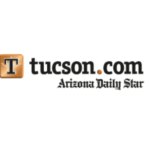 AzMerit, like many standardized tests, has been criticized by scholars and policymakers as being overly reflective of a student’s socioeconomic status. 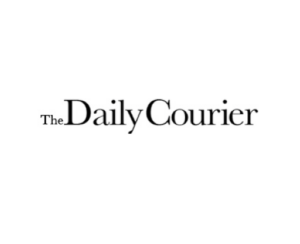 Voters will be asked to consider two local, school-related measures on the ballot in November, a school bond and the renewal of a budget override. Together, the measures could provide the Flagstaff Unified School District continued and additional funding for the next five to six years, said FUSD superintendent Mike Penca. Teachers in Flagstaff Unified School District and Flagstaff charter schools are voting with their cohorts across the state on whether they will walk out in support of more funding for education in the state. For the second year in a row, Mile High Middle School eighth-graders’ scores on the AzMerit standardized math exam were less than stellar. Only about 9 percent of those who took the test — about 62 percent of the class of 325 students — scored at proficiency level. “That’s a little bit of a downer,” said Prescott Unified School District Governing Board member Maureen Erickson about the scores. Assistant Schools Superintendent Mardi Read offered a highlight of the AzMerit test scores at the PUSD board meeting on (Oct. 3). The test scores students from third through 11th grade in language arts and math. For the most part, Prescott’s students continue to score above the state average; no third-graders will be retained because they did not reach proficiency in reading, Read said. But eighth-grade math for the pre-Algebra or basic math students has proved something of a “conundrum,” she admitted.